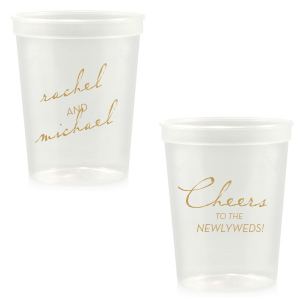 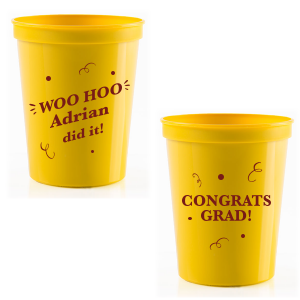 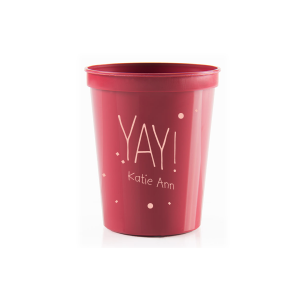 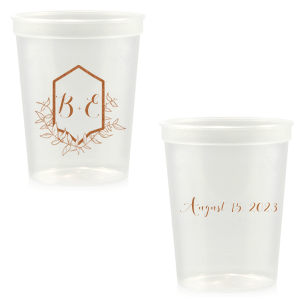 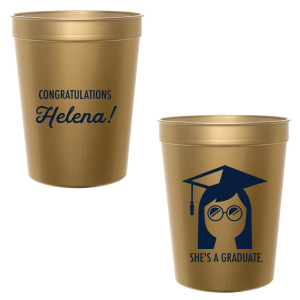 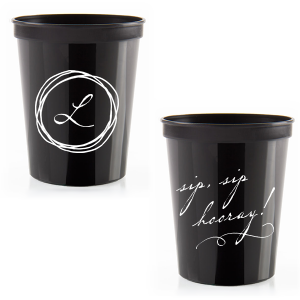 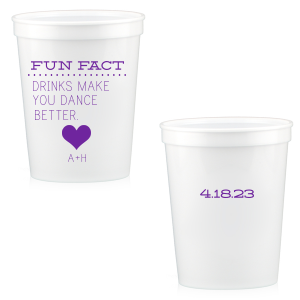 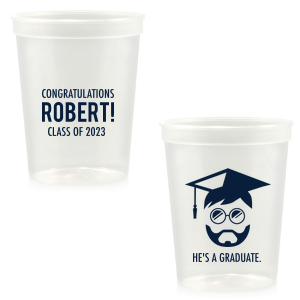 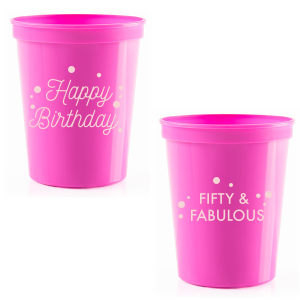 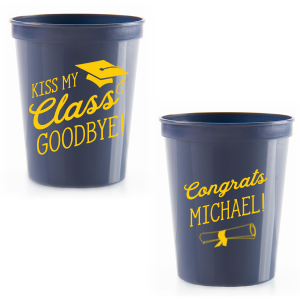 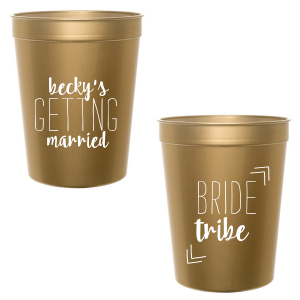 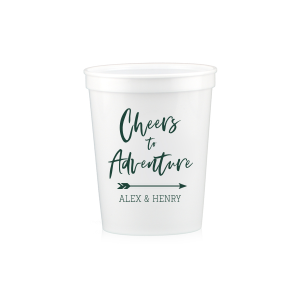 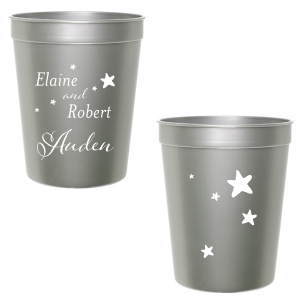 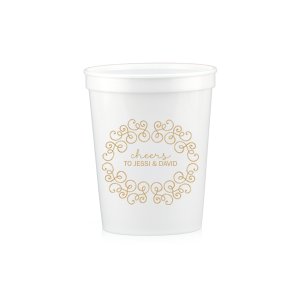 Custom printed cups are a fun and easy way to step up your party details. 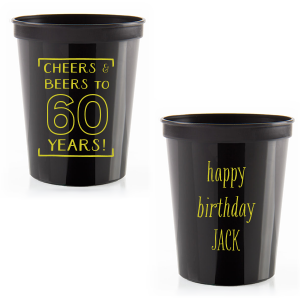 Whether for a tailgate, reunion, wedding, bachelorette or another party, you can serve beer in style with personalized 16 oz stadium cups. 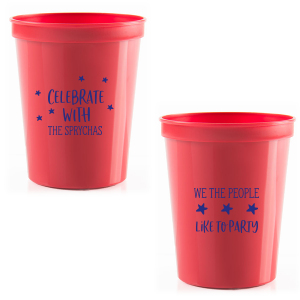 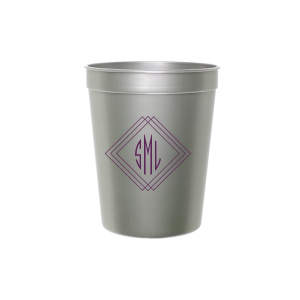 Our best selling cup, this 16 oz plastic, customizable cup will add surely add to the festivities.